Mig Vapor designed the kit to provide a unique and elegant experience to newbies looking for a decent experience with a vape pen. Its powerful battery and innovative BVC Clearomizer delivers satisfying vapors with a long-lasting session. Mig Vapor also included a free 30ml e-liquid to get started. The Florida based brand, Mig Vapor offers world-class products to suit all kinds of vapers. SR 72 Single Vape Pen Kit comes only with the finest of quality parts and materials. The Vape Pen has been improved using innovative in-house built BVC Clearomizer. It helps ensure more vapor production and fantastic experience. The Pen operates using a power 1300 mAH battery, with a battery life meter showing the level of discharge. The SR 72 tank can hold approximately 3mL and comes either in standard or glass options. The standard Vape Pen tank options are stainless steel, black, and rainbow laser metal. 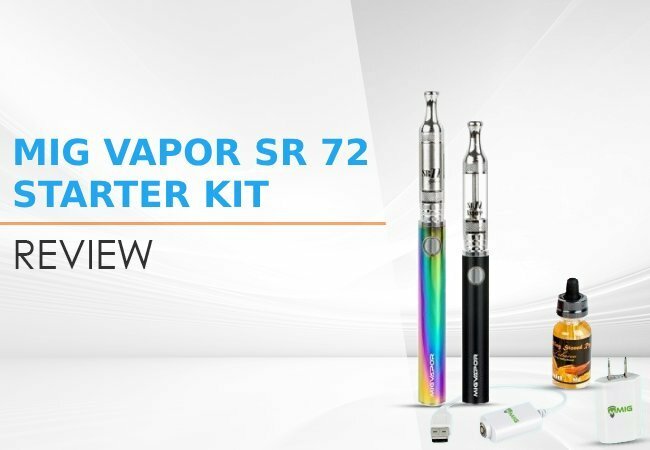 Why SR 72 Single Vape Pen Kit? The two bodies are both 1300mAh batteries capable of 4.2 Volts. During the order process, it is possible to upgrade and get a battery that is capable of 4.8 Volts. Either battery body has a power meter built in. Two SR72 clearomizers are included which feature BVC (Bottom Vertical Coil) coils. Stainless steel or glass are also available as an upgrade. There are five 1.8 Ohm replacement coils. The coils, then, are replaceable. As long as the clearomizer is taken care of, only the coils need to be changed when they burn out. How long the coils last varies according to the type of juice and how the user vapes, so it is hard to say. A sturdy carrying case comes included and is available in black, white, cherry or pink. It can hold all of the stuff mentioned, plus the USB charger that also comes with the kit. Lastly, a free 30ml bottle of e-juice is offered in over 30 flavors to choose from. Nicotine strength is available in 0% to 2.4%. The 1.8Ohm coil clearomizers offer up thick, milky clouds with a satisfying throat hit. Nothing too harsh, just enough to feel a similar sensation to smoking a cigarette. Flavors are extracted from the juice very well for a great taste. Unless the tank is allowed to run dry, there are no dry hits. All the flavors stay consistent from beginning to end, also. When the flavors start getting a little bland is when it is time to change the coil. The device tank does excellent, holding 3 ml of e-liquid without leakage ensuring the e-liquid is ready to vaporize by the dual coil at the bottom of the tank. Coming with a potent power source, 1300 mAH battery, that can last up to 8 hours of excellent vaping experience. It also comes with a battery life meter informing about the battery life. The device build engineering is impressive, a combination of metal and plastic to create a vape pen sturdy, yet looking seamless. It is a long-term investment, and unbelievably reliable. The device has a metal button and also incorporates a built-in power consumption indicator which makes its users aware and increases its performance. 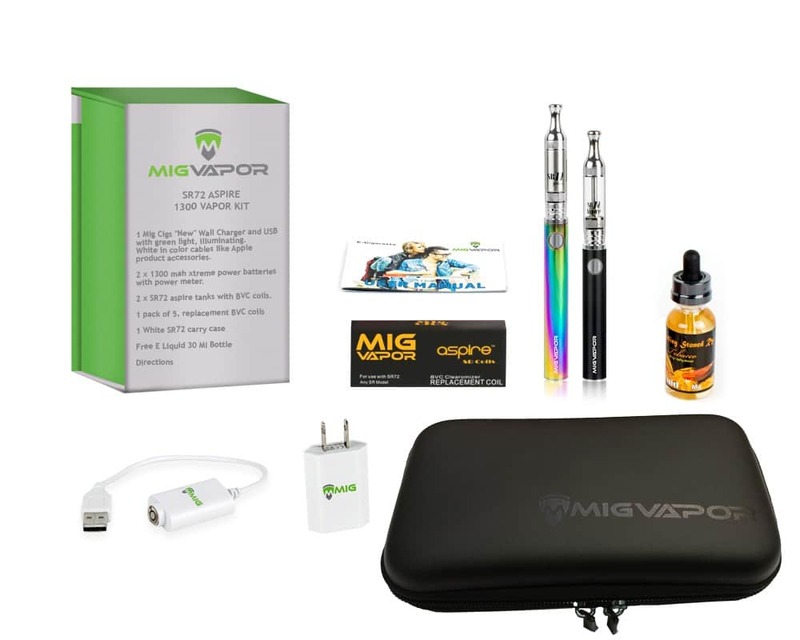 For extended lasting benefits and use, Mig Vapor designs the vape pen optionally upgradable. Its battery, tank and other essential parts can easily be upgraded to enhance the vape pen longevity, making it cost effective. As Mig Cigs SR72, the Pro Series 3 also has three variable voltage levels. Twist-batteries that also have three different power options are also included. Each of the batteries for the SR72 is rated for 1300mAh, which is larger than the 750mAh capacity of the Pro Series 3. 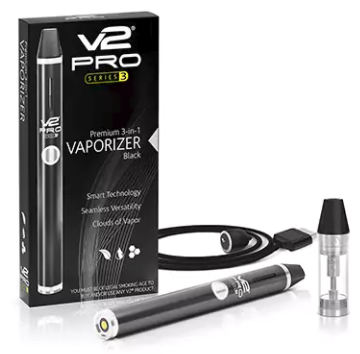 The V2 Pro Series 3 is much less expensive than the entire SR72 kit, but buying the SR72 tag, two batteries, two tanks, a carrying case, and a bottle of 30ml e-juice come in the one kit. The benefit is clear. The VAIO Go has a built-in 2ml tank, which is not as much as the SR72’s 2.4ml tanks. 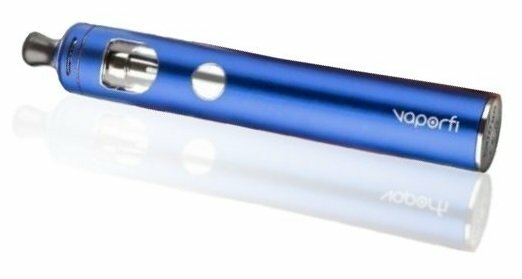 However, this vape pen is colorful and stylish with an internal 2000mAh battery, so it is much more powerful than SR72. There are also no adjustable settings on the VAIO Go, unlike with the variable voltage batteries of the SR72 (variable voltage batteries do not come standard with the SR72, they goes for extra $6). Which hints that buying an SR72 kit might provide more options in less money. Aside from the facts that it comes with exemplary design and builds engineering, Mig Vapor has the best interests of users at heart. The vape pen comes with 29 different flavors and 5 nicotine levels to choose from: 0%, 0.6%, 1.2%, 1.8%, 2.4%. Also, it is cost-effective, all is needed to do is to upgrade the necessary parts and keep enjoying desired vaping. 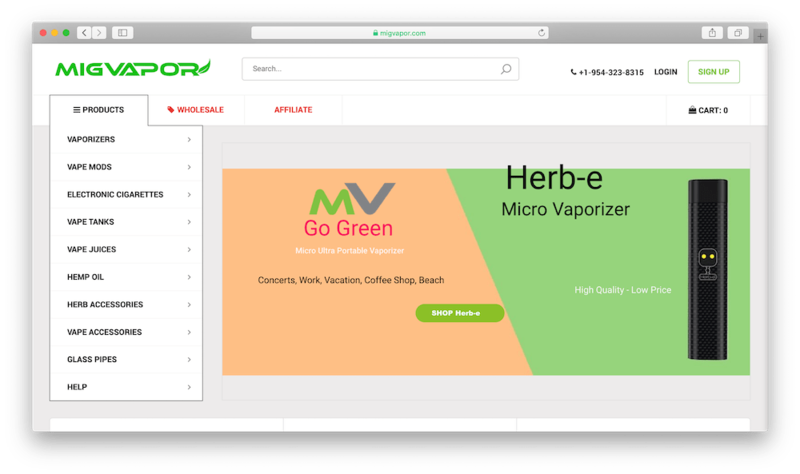 Mig Vapor offers a large selection of vapes, e-liquids, and vape-culture products. The vaping demographic they service is the largest in the industry. 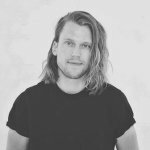 Smoke Tip is a brand that not a lot of people might now know about, but we got our hands on a kit and wrote a review for you!